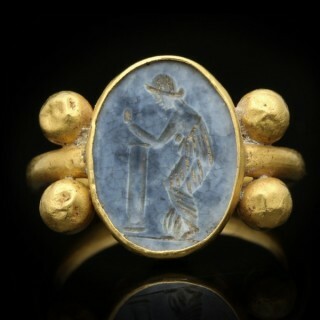 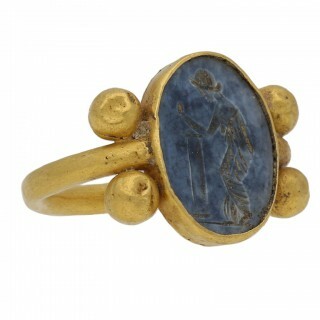 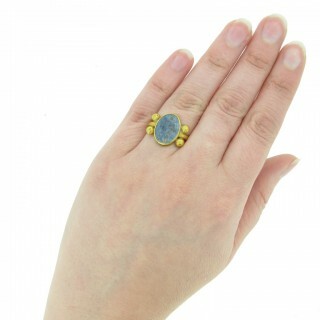 Ancient Roman blue glass intaglio ring. 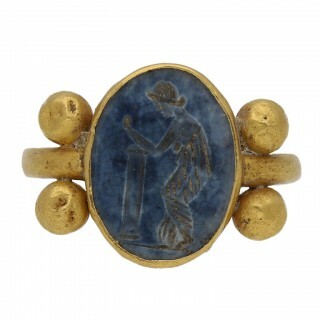 Set vertically with an oval blue glass intaglio depicting a woman leaning on a column, in a closed back rubover setting, framed to either side with two beads of gold, and set on a rounded shank. 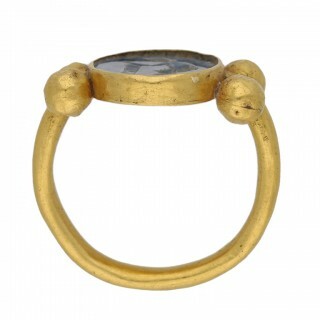 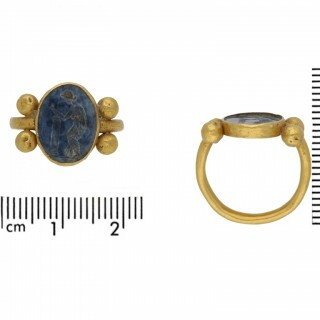 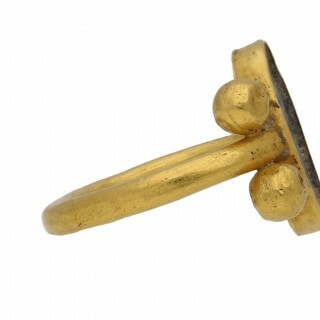 Tested yellow gold, approximately 2.72g in weight, circa 1st-2nd century AD, accompanied by an Oxford Labs X-ray fluorescence report stating the composition of the metal.